Today we have an exciting interview with the gorgeous Celia Hughes, Doula and Lactation Consultant in Tokyo! 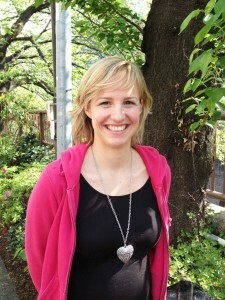 I first heard about Celia on the Tokyo Pregnancy Group a few months ago – the post immediately caught my eye, as the only English-speaking doula I knew who was actually living in Tokyo (Olivia Arakawa) had recently returned to the US, so I was SUPER excited to hear that there was another doula/lactation consultant in town! Then to my delight, Celia came to our TUB Cherry Blossom Party a few weeks ago so I finally had the chance to meet her! We arranged to meet up again for lunch last week, and I took the opportunity to interview her and take a photo to share with you all. 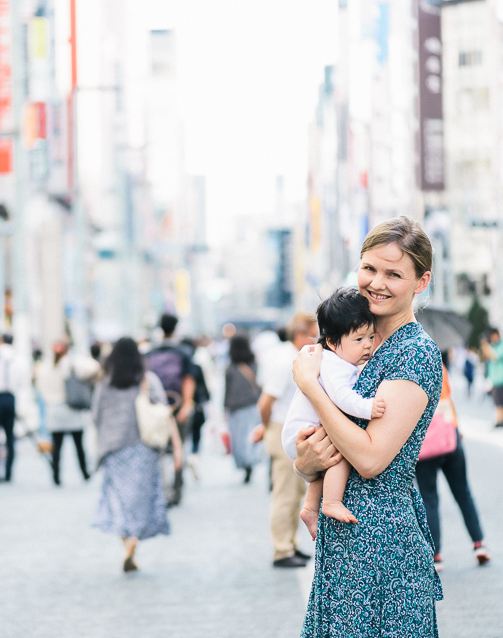 Everyone – if you are looking for help with your birth or breastfeeding in Tokyo, I highly recommend getting in contact with Celia! She is not only highly qualified as a midwife and lactation consultant, but she is also a very warm, friendly and caring person. 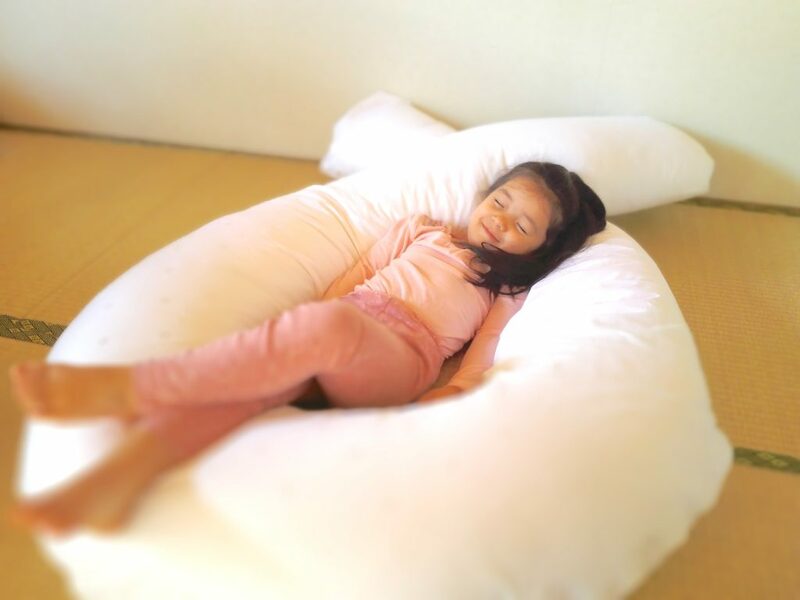 I only wish she was in Japan when I had my baby! See Celia’s website for more information! I am French and I have known since I was 16 years old that I wanted to be a midwife. I entered midwifery school at 19 and graduated with my degree in France at 23. I start to work right after and worked in a hospital for 2 years (mostly in the delivery room). In France, midwives are allowed to do delivery alone, even the episiotomy and stitches! Then I lived in New York City for two years (I really improved my level of English there! ), and during the second year, I offered the same services that I offer here (birth doula, childbirth lessons, breastfeeding advices, home visits after birth) mostly for the French community. Then I came back to France, worked in hospital for two years, studied to be a lactation consultant and had my little boy! 2. What kinds of services do you provide in Japan? I know how it can be stressful to give birth especially in another country. So I provide some private childbirth lessons to prepare the mother-to-be and the father-to-be for the Big day and after. I try to follow all the mother and the father needs and give my best to explain all about what can happen and all about the medical process too. I also give some advice about baby cares, materials. I try to learn about everybody’s personality to also provide emotional support. That’s why I also provide my services as a birth Doula to be there at every moment the mother-to-be and the father-to-be needs me! As a lactation consultant I provide consultations in case of problems. 3. Please tell me about your personal experience of giving birth and breastfeeding. What was it like? After assisting so many other women with their own births, was it different experiencing it first hand? I had a great birth and breastfeeding experience so I wish more than ever this kind of happy feelings for every mother and father! I think being a midwife helped me to be confident about the birth process. I had seen so many women in pain and just after joy and happiness, so that I was confident about my capacity as a woman to give birth. And I was also very impatient to live this experience by myself after assisting so many births as a midwife! So the birth of my son was a very natural birth (as I wished) in water (as I wished too)! So yes I know more about pain and I can talk about it and I also did some yoga to help me so I can now teach what helped me. For the breastfeeding it was a dream. I thought about this experience even more than the birth experience – I was very curious and impatient to feel this bonding. So I had a great breastfeeding experience and still have (I still nurse my son twice a day, he is 2.5 years old). With the breastfeeding experience I can also understand how it can be difficult (especially in the beginning) and how this dependence can be stressful, so it helps me to help mothers with breastfeeding and I also understood that there is no one good way to feed your baby. There are many ways to feed and you just have to find the one you and your baby are more happy with: 100% breast, 80%, fifty fifty, or even bottle feed. 4. Has giving birth to your own baby changed your perspective on being a midwife and breastfeeding consultant? I think I kind of answered this in the previous question but yes now I have both: my experiences and my professionals skills! 5. Where is your favourite baby-friendly cafe in Tokyo? Please tell me why it is your favourite:)! I usually go to Starbucks because I don’t drink coffee but hot cocoa! I think they are kind to babies and there are always high chairs in the one I go to. But I usually go when is he is sleeping so I like the fact that there is usually enough space for the stroller and also that is a non-smoking cafe!